“From our experience, updating your kitchen and bathroom can help to sell your house faster and potentially add thousands of rands onto the selling price,” says Ryk Neethling of Val de Vie, the award-winning lifestyle development in the Paarl-Franschhoek Valley. While decluttering, repainting and completing minor repairs before prospective buyers take a look can create a stronger first impression; it’s updating your home’s most functional and ‘lived in’ spaces that is often the clincher. 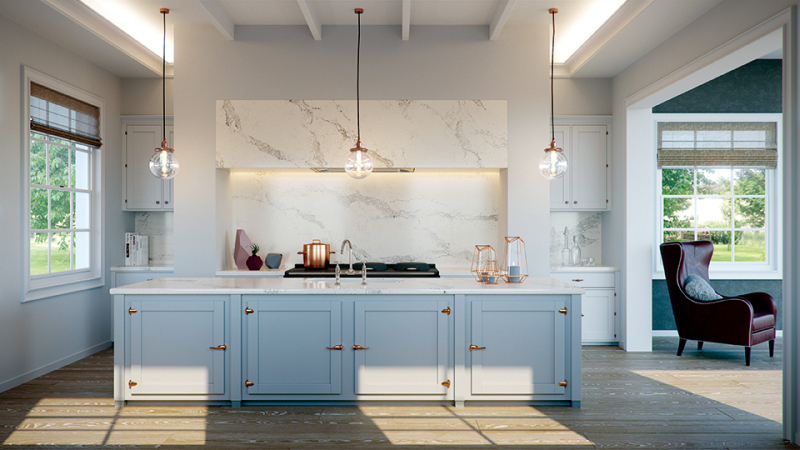 “Open plan living has meant that the kitchen is now the anchor from which the entire house finds its direction and look,” says Philip Richards, brand director of blu_line. “A modern kitchen that boasts the latest functionality, materials and Caesarstone surfaces will therefore ensure that your home attracts the best buyers, at the right price”. The most valuable section of the house, the kitchen is worth the most per square metre and can be the deciding factor when buyers are unsure of a purchase. The good news for homeowners on a budget is that while it might not be feasible to remodel your kitchen completely, you can refresh its look and feel by respraying the cabinet doors and upgrading the plumbing fixtures. 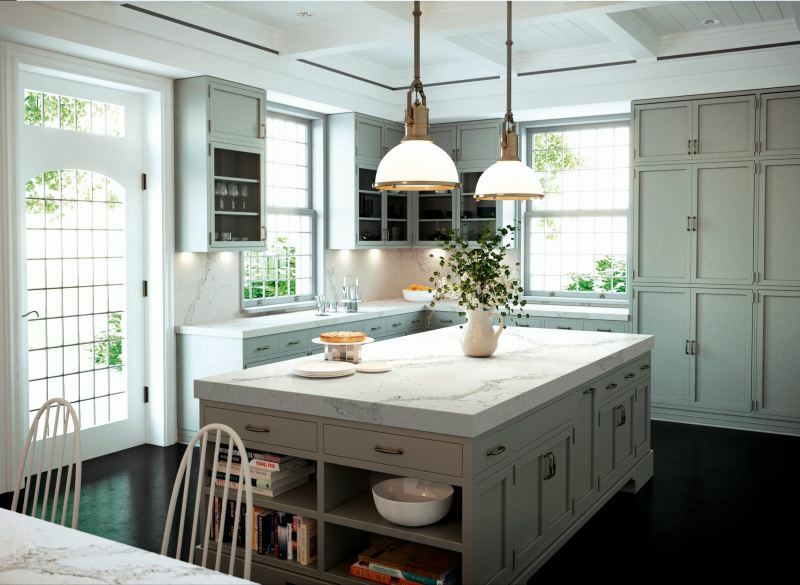 Upgrading your countertops and backsplashes to genuine Caesarstone surfaces will add that wow factor, but will also add serious value to your property too. “It’s a well-known fact that kitchens and bathrooms sell homes. Using luxurious products like Caesarstone in both your kitchen and bathroom is a great way to add value and give it the wow factor that will grab buyers’ attention. In fact, many real estate agents make a point of including Caesarstone features in their property descriptions as a key selling factor.” says Simon Bray, CEO of Private Property. The bathroom is the second most impactful space in your home when it comes to influencing a sale. An impractical or outdated design, old or faulty sanitary ware and stains or general grime will create a negative impression with potential buyers that will be difficult to shake. The most personal of spaces, your show-house visitors’ experience of your bathrooms is going to deeply affect how they feel about your house overall. Speaking on behalf of Nedbank, Tim Akinnusi, head of Sales and Client Management at Nedbank Home Loans says, “It is important for home owners to look at changes and upgrades that will help increase the value of their home. Look at the functional areas of the house as those are the key rooms that will attract potential buyers when it’s time to sell your home. Some advice would be to look at future trends and incorporating energy efficient products to your home”. “Homeowners should remember that their home’s materiality is directly correlated with its intrinsic value and resale potential,” says Caesarstone’s Marketing Director, Trevor King. “Choosing top quality, hygienic finishes like Caesarstone that also retain their design longevity, helps to position your house as a good investment in the minds of estate agents and buyers alike”. King recommends having your Caesarstone surfaces installed by a Caesarstone Accredited Fabricator, because they are committed to following the Caesarstone best practice, fabrication and installation guidelines. Caesarstone Accredited Fabricators are also in a position to offer the most competitive pricing on Caesarstone products. A market leader in quartz surfaces, Caesarstone has been innovating with surfaces since 1987, and develops distinct designs, colours and new products every year. Installing Caesarstone into your home will increase the value of your property. Using a Casearstone Accredited Fabricator will ensure that the installation is in safe hands. All Caesarstone surfaces come with a lifetime warranty. Visit www.caesarstone.co.za to get a quote from a Caesarstone Accredited Fabricator today. International Slab Sales is one of the sponsors at the next DAS Conference on 15 March at the Bytes Conference Centre in Midrand. Come and visit their stand and hear more about how to “Design with a purpose”. To book your ticket, click here: https://itickets.co.za/events/395168.html.